So the fifth time I got Carrie’s photo, my good friend Heather Jones told Carrie I’d seen the show five times. 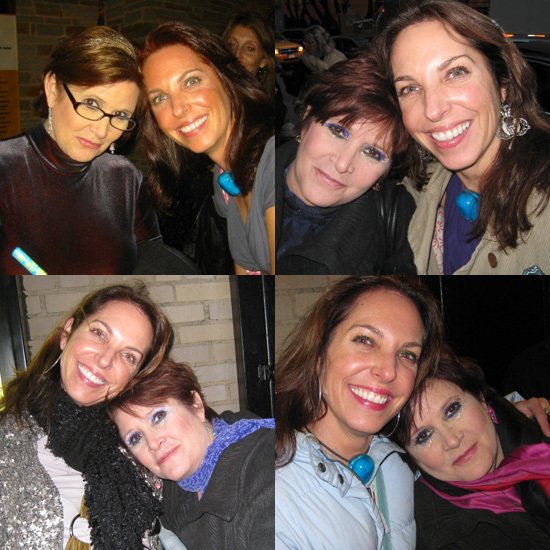 Carrie gave me a huge hug (had to peel her off me) and said “You look familiar, is your name Anne?” I was so stunned that she actually spoke to me and froze. “Laurel, her name’s Laurel” Heather helped me out. Carrie grabbed my Playbill and signed it for Laurel love Carrie Fisher xoxo So OK, I’m not gay, but I was sooo excited, I love that damn lady so much. This entry was posted in Star Wars and tagged Carrie Fisher, Princess Leia, Star Wars, Wishful Drinking by laurel. Bookmark the permalink.